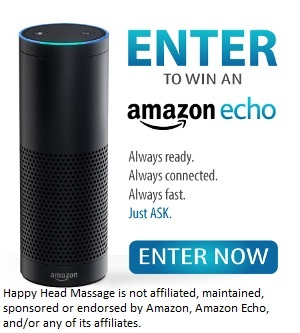 Vote Now For Your Chance To Win at Happy Head Massage! This is a very exciting time for America. Happy Head Massage represents a bright new future for everyone who wants to get a great massage without the spa price, and not just for a select few. Together we can make massage more affordable. Together we can make massage free from memberships. Together, We Will Make Massage Great Again! Here’s your chance to enjoy a tremendous massage. We’d love your opinion on who you think should be the next president. Jump on this Huge and Amazing opportunity today and you’ll be entered to win an Amazon Echo (valued at $179), a $100 gift card to Happy Head Massage, or a $50 gift card to Happy Head Massage. There is no purchase necessary. Just click the link below to vote now and you’ll be automatically entered into the drawing. Winners and the results of the poll will be announced on the Happy Head website on Election Day Tuesday, November 8th. It’s gonna be huge…Believe me! RESULTS: Thanks to everyone who participated in our online election survey. With a landslide victory, the winner of the 2016 online Happy Head election survey with over 60% of the vote and most likely to become your next president is…Happy Head Massage! We also had our drawing for the prizes. 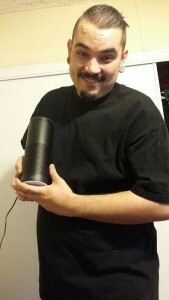 The grand prize winner of the Amazon Echo is Nicholas Sullivan. Congratulations! Congratulations To The Winners Of The $500 Massage Gift Card Drawing!